Single cup coffee makers are perfect for those of us that enjoy a fresh cup of coffee several times a day, but not necessarily in succession. If I make a pot of coffee in the morning and keep it warm, by the time I am craving a second cup, the coffee in the pot has already acquired a bitter burnt taste. The single cup coffee makers provide the perfect solution. A fresh cup every time, in under a minute, without the hassles of measuring coffee, keeping filters on hand and cleaning up afterwards. 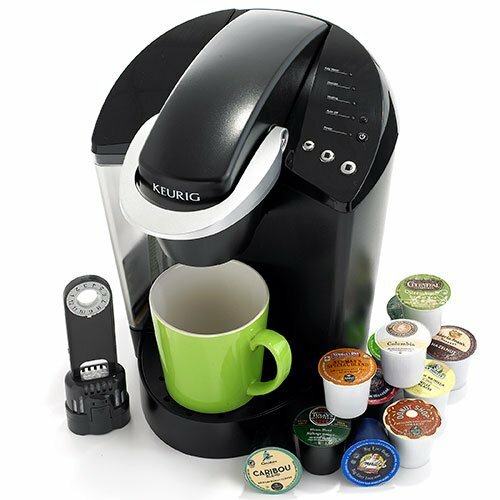 Keurig is the leading single cup coffee maker in the US. 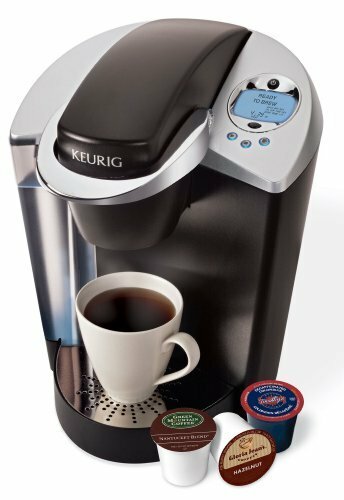 I was introduced to Keurig in 2007 in the club house of the apartment complex I was living in as they had a Keurig machine for residents' use. A year later I bought one for myself. I was sold. I brew a fresh cup of coffee every time. If I make a pot of coffee in the morning and keep it warm, by the time I am craving a second cup, the coffee in the pot has already acquired a bitter and burnt taste. With Keurig, this is a non-issue. Variety of coffee to sample. Keurig has over 200 varieties of beverages. Whether you want your coffee mild or bold, flavored or not, regular or decaf, there is a cup for you. You are also not committed to one or two varieties, but you can get a sampler pack and try all varieties within. It brews a single cup in under a minute. Keurig brews a single cup of coffee in under a minute. When I am running crazy like a chicken without its head in the morning, trying to get the kids out the door and to their schools on time, Keurig is great help. The only catch is that I need to have turned the machine on ahead of time to give it time to warm up. It only takes a few minutes to warm up, but if I need to grab a cup to go in the last minute before I run out the door, I need to have the warm water ready. No hassle. Keurig uses their patented K-cup brewing system. K-cups have their built-in filters, which means you do not need to keep any filters on hand and you definitely do not need to deal with a messy filter to throw away afterwards. Needs little to no maintenance. The Keurig single cup coffee maker needs very little maintenance. I wipe mine down as dust gathers on it using a damp cloth. The removable parts are washable and and the system itself needs to be descaled every three to six months using vinegar for optimum performance and taste. Easy peasy. Options for cup size. My Keurig has three size options and I choose based on how much coffee I would like to have at any given time. My only complaint is that the unit I have makes a bit of noise as it warms the water and later as it brews the coffee. They may have come out with quieter units lately. My Keurig is a few years old.